In DUETTING. WITH MY DAUGHTER. WHO DIED: A MEMOIR, when my daughter Marika dies I don’t want to live anymore, but then I find her poems and final wishes daring me to carry on, so I travel alone and terrified to Australia to scatter the ashes and retrace her footsteps from the time she ditched her doctors, chemo, cancer, and me. I dread returning home to a life without her once the ashes are gone, until a rogue wave triggers an explosion of memories leading me to discover relationships survive and grow beyond death, and that Marika is an undying part of myself. Two journeys are interwoven in this 200-page / 64,000-word memoir: the journey through the wilds of cancer hanging onto my headstrong eighteen-year-old daughter Marika who was fighting for personal independence while fighting for her life; and my trip to Australia after her death, from Sydney to Melbourne to the shipwrecked coasts of the Great Ocean Road, believing it was the end of her. A single mother with imperfect parenting skills, I was immobilized in the midst of my daughter’s battle with leukemia. I went through a second coming-of-age when the life I knew was catapulted out the window. After her death, as I discover in her writings the daughter I didn’t know in the day-to-day, I begin to grow into my own life. 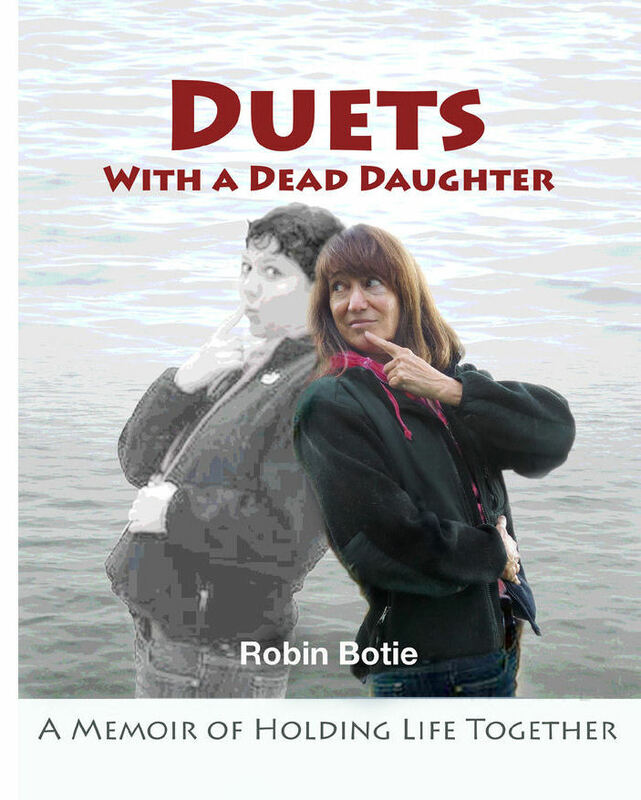 The two journeys form a kind of duet, enhanced by Marika’s original songs and poems and my own responses to them. Challenges the book addresses: saying goodbye to one who is dying; keeping a deceased loved one in the present, as in continuing bonds grief theory; dealing with an estranged husband and his new wife; inventing a feed-and-read support group; understanding military family members’ conflicting attitudes about life; and exploring non-religious perspectives on death. This story is a wild ride into every mother’s worst fears. It is a recovery story of how I found ways to honor my daughter, hold her close, and grow in the pain of her death. It’s about losing a life (not my daughter’s) and getting a life back. NOTE: DUETTING. WITH MY DAUGHTER. WHO DIED: A MEMOIR is still just a manuscript. Eventually, I will begin querying for an agent to help me find a publisher.